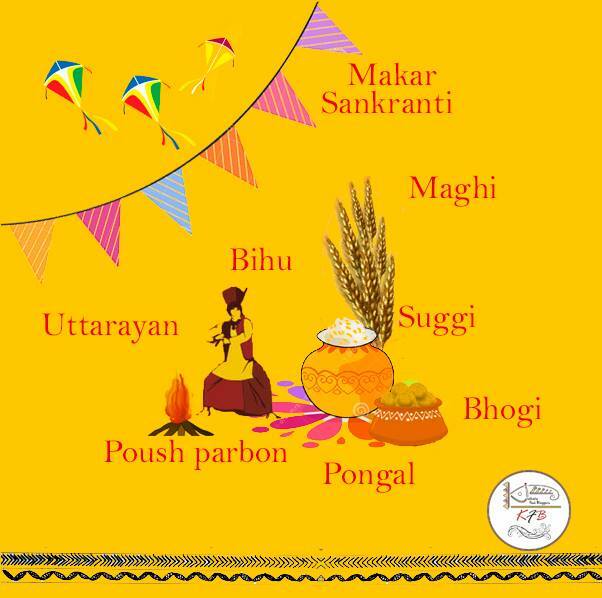 Wishing everyone a very happy Makar Sankranti/Poush Sankranti/Pongal/Lohri/Maghi/Uttarayan/Bihu. May God bless us with abundance of Good Food all year long. 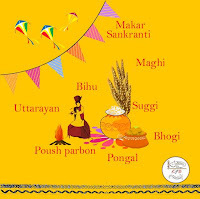 Makar Sankranti/Poush Sankranti is a harvest festival and is celebrated allover India with a great zeal and enthusiasm. As it's a harvest festival, we celebrate it making something sweet with rice. Every time I make something traditional but this year I tried something different, I tried some Sankranti special sweet, called Pitha from my neighbouring country, Bangladesh. 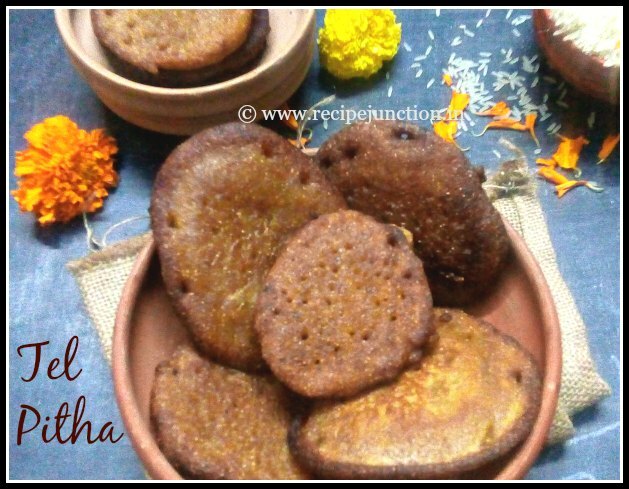 I'll share the recipe but let's get to know about Sankranti first. Makar Sankranti, a major Hindu festival falls on, 14th of January every year, sometimes on 13 or 15th January(leap year) with exception . Unlike most of the other Indian Hindu Festivals, the date of Makar Sankranti is fixed. 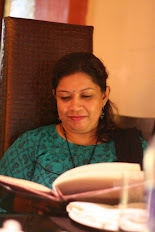 Makar means Capricorn and Sankranti is transition/movement. This popular Indian festival is celebrated as "Harvest Festival" and is also regarded as the beginning of an auspicious phase in Indian culture. It is said as the 'holy phase of transition'. It marks the end of an inauspicious phase which according to the Hindu calendar begins around mid-December. Scientifically, this day marks the beginning of warmer and longer days compared to the nights, i.e., Sankranti marks the termination of winter season. It is one of the major Indian festival celebrated in every part of the country in myriad cultural forms and in different names. Like, in Punjub, it's celebrated as 'Lohri', in South India, it is celebrated in the name of 'Pongal'. Every region celebrates it in their own ways, according to the localization, culture and traditions. In Bengal, from where I belong, it is known as "Poush Sankranti/Poush Parvan", named after the Bengali month(Poush) in which it falls (last date of this month is sankranti), is celebrated as a harvest festival. 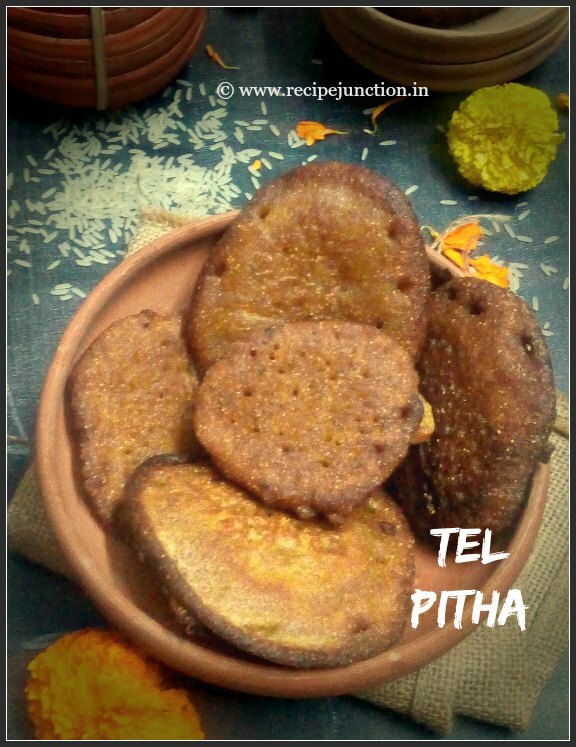 A special kind of sweet, named "Pitha/Pithe", made with freshly harvested rice, coconut and date palm jaggery(Khejurer Gur), which is only available during this season, are the main ingredients. Different varieties of pithes with elaborate methods are made through out the month to celebrate the harvest. I also prepare few varieties of Pithes every year for my family and also blogged some before. I'll link them at the end of this post. 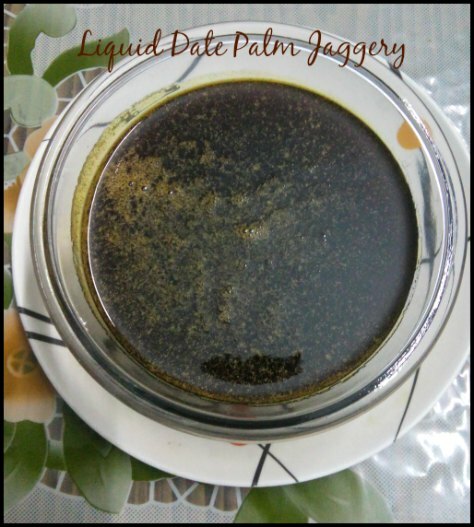 I used solid date palm jaggery, what we call "Patali", as round hard disc of date palm jaggery. In a pan, grate the jaggery and add just a few tablespoons of water, in low flame just liquidise the jaggery. When done, remove from heat and keep stirring the pan. Soak the rice overnight and grind the rice with little water in a mixer very finely. Or you can use store-bought rice flour. But better to use home ground rice. 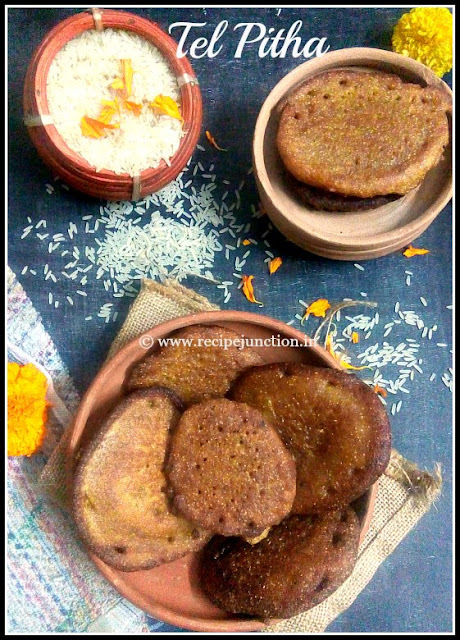 Now take a deep bottomed pan, mix grounded rice or rice flour, maida, suji, coconut and liquid date palm jaggery. The batter should not too thin nor too thick. If you think the batter is little thick, can add little milk in there. Whip the batter very well so there is no lump. Add sweetness according to your taste. Heat enough oil in a deep frying pan. Check the heat of the oil, drop a little batter, it should stay under the oil for a moment and then should come up, just like we fry puris. When the oil is ready, drop one ladle full of batter into the oil, wait for a minute,when it starts to puff up, flip it to the other side and fry this side well. Always fry one at a time and complete the batter. You can also store the batter in refrigerator and use it later. Sending this recipe to Kolkata Food Bloggers' ongoing event, "Makar Sankranti Special"